About | Giffin, Winning, Cohen and Bodewes, P.C. At Giffin, Winning, Cohen & Bodewes, P.C., we know that life difficulties or uncertainties are inevitable. When our clients come to us, they need more than professional legal advising. They also need guidance and assurance as they face complex legal issues. Giffin Winning provides confidence and professionalism during every step of the legal process. You can trust that your legal representation will be backed by the immense knowledge and longtime experience of our expert team. Our dedication to results has spanned decades in the state of Illinois. For more than 100 years, Giffin, Winning, Cohen & Bodewes, P.C., has held a respected reputation of providing exceptional legal services to individuals, businesses and governmental agencies throughout Illinois communities. 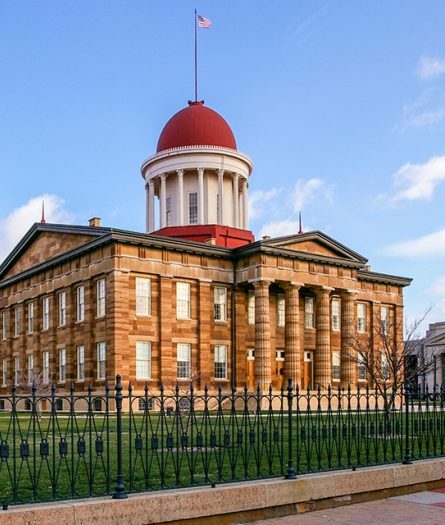 Our rich history even has direct ties to Abraham Lincoln’s law practice in Springfield. At Giffin, Winning, Cohen & Bodewes, P.C., our commitment to excellence and comprehensive legal services enable us to effectively provide for our clients’ legal needs with efficiency, integrity and trust.